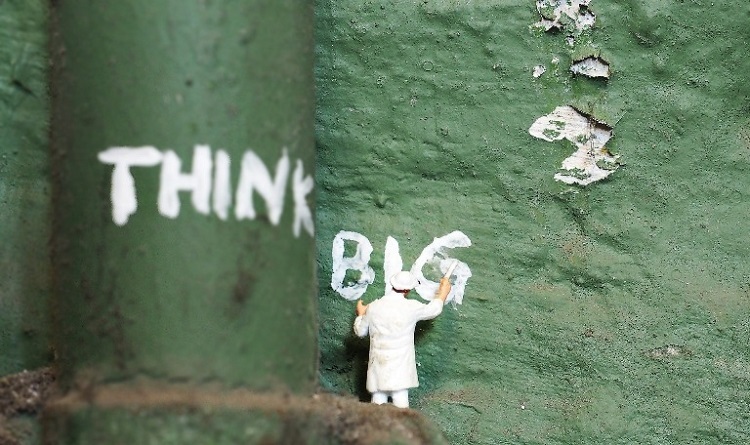 Are You Thinking Big for Your Organisation This Year? You are here: Yellow Spark > blog > Organisation > Are You Thinking Big for Your Organisation This Year? Every year, on 22nd February, The World Thinking Day is celebrated. This day was originally founded for girl guides and scouts to appreciate the guidance they receive from their brothers and sisters around the world. It eventually moved to becoming more than a day of gratitude, it became a day to address global issues like the food crisis, water, saving the planet, adolescent health, and even discovering your potential. This could be an apt day, or week, for you to plant new seeds of change in your organisation too. You could use the coming month to think about what efforts you need to make to see exponential growth and a thriving work culture in your organization. As more and more millennials enter the workforce, the challenges to keep them engaged will only increase. Several studies have shown that millennials across cultures are finding a general lack of meaning in the work they do. They soon lose interest in their jobs, and as a result hop on to the next boat that they find. What then does it take for millennials to stay engaged? Most HR departments have realized that it definitely takes more than free food, bean bags and coloured walls… It takes a sense of purpose in the work they do. Millennials want their work to reflect who they are and what they believe in. Moreover, they want a chance to showcase their skills and talents. So allocate work to them, only after assessing their strengths and talents…and understand what their aspirations are at the interview stage itself. Many organizations have also realized that millennials want their work to have an impact. Thus, a workplace that provides opportunities like volunteering for a social cause, or starting CSR initiatives of their own, will inspire young millennials more. All great talent needs a space where it can grow and thrive. For this, organizations will have to increasingly create more learning opportunities. Within the organization, regular skill enhancement programs, cross-functional learning opportunities and recreational activities to bond, and de-stress can be conducted. Individuals should also be able to participate in seminars and workshops outside the office to add to their skillset. Nowadays, several organizations are also signing up for massive open online courses (MOOCs) to help their employees upgrade their skills. To ensure your organisation’s capabilities and skills are constantly being enhanced, stay tuned for the latest online and offline courses in your industry. It’s a given in today’s time that collaboration is the key to success. And this starts from within the organisation itself. The days of working in silos are long over. Individuals need to collaborate more internally and externally to aid their performance, and impact the organisation’s overall capability. Management teams need to provide opportunities that aid peer-to-peer learning, opportunities for teamwork and cross-functional learning. The general trend is moving toward teams that are smaller, work swifter, and know exactly how their domain expertise collaborates with their peers. This allows them to trust and feel a greater sense of support within the organization. Thus, allow individuals to work independently and, as a leader, intervene only to troubleshoot. An organization that thrives is an organization that has clarity on its vision and values. This requires the leadership to communicate effectively what they intend to achieve, by when, and how. Communication is the backbone of any enterprise. The more clearly leaders can communicate and translate their vision, the more effective the end result and performance of a company. Moreover, communication should be possible at all levels. The no-door culture has already made its way in; the only thing left is allowing employees to approach you without any hesitation. Thus, keep all avenues for communication open and transparent. Technology should be consciously used to enhance communication rather than hamper it. Thus don’t resort to excessive emails for local teams, but ensure you optimise technology to stay in touch with global teams. Also, use dashboards to make available any data on current projects; it will help employees across the board get on the same page. Essentially, keep the conversations going, and deliver whatever information an employee needs to stay motivated. ‘Our research shows convincingly that organisation (e.g., capabilities, culture, systems, processes) has 4 times the impact on business performance than individual competencies!!! 4 times!!! So, the trend is to focus LESS on individual talent and more on organization capabilities.’ – Dave Ulrich, Speaker, Author, Professor, HR & Leadership Guru. Yes, the larger idea is to focus on organisation capabilities… Only then will an enterprise stay ahead of its game, outdo competition, and conquer new geographies. Organisation capabilities are made up of many factors; key being its culture and people. As technological advances take place and newer practices come into play, the only constants will be people and culture. To retain these, organisations will need to put more effort into their HR practices and processes. Yellow Spark believes that people make businesses successful. Put the right focus on your people and culture and watch your organisation achieve 100x or 1000x growth…the sky is the limit! We look forward to holding your hand in the coming years, and providing you with any assistance you need to reach your goals and vision.